William Appleman Williams and the tragedy of American diplomacy. 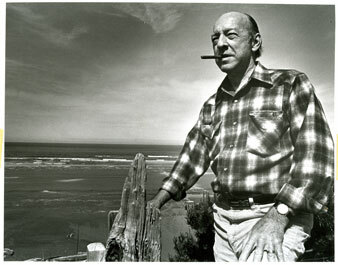 Oregon State University Libraries Special Collections/Daily Barameter William Appleman Williams near his home in Waldport, Oregon, circa 1986. “Why William Appleman Williams, for God’s sake?” asked Arthur Schlesinger Jr. in 1999 when he learned that Williams’s The Contours of American History had been voted one of the 100 best nonfiction books of the twentieth century by the Modern Library. Schlesinger had spent the better part of half a century fighting the influence of Williams, describing him in 1954 as “pro-communist” to the president of the American Historical Association. In 1959 the New York Times picked Schlesinger’s The Coming of the New Deal and Williams’s The Tragedy of American Diplomacy as best books of the year, calling the first, in a nod to a liberalism still vital, a “spirited study” and the second a “free-swinging attack” on US foreign policy, hinting at the raucous dissent to come. But forty years later, Schlesinger considered the fight won. The victory of the United States in the cold war had disproved Williams’s jeremiads against an American empire careening toward disaster, while the concomitant collapse of the left had confirmed Schlesinger’s position as curator of America’s historical sensibility–liberal, democratic, pragmatic. Schlesinger was one of the Modern Library’s jurors, and his own The Age of Jackson made the cut. Still, he couldn’t keep Williams, dead for nearly a decade, out of the pantheon. For God’s sake. In America, the “presence of a continent defended only by weaker souls” made the merging of Puritan purpose with individualism “even more convenient”; the framers of the Constitution were acutely aware that private property generated interests too corrosive and passions too explosive for a circumscribed territory. James Madison was empire’s great “theorist,” who was “nothing if not comprehensive.” Williams quoted a phrase of Madison’s every chance he could: “Extend the sphere” and “you make it less probable that a majority of the whole will have a common motive to invade the rights of other citizens.” Demands for a leveling of wealth could be defused by opening up “surplus social space.” Thomas Jefferson once proposed redistributing property each generation as a way of retaining republican virtue in a small place, but he abandoned the idea to become, in Williams’s words, the “epic poet” of the “urge to escape, to run away and spend one’s life doing what one wanted–or in starting over again and again.” In 1906 the German sociologist Werner Sombart had identified the pull of an open frontier as one explanation, among many, for why there was no socialism in America. And others in the 1950s, such as John Rawls and Louis Hartz, considered the problem of “property” in liberal thought, particularly as it related to the difficulty of achieving social democracy within a capitalist framework. Yet Williams was one of the first to link these questions explicitly to imperialism–or, more precisely, to realize the way expansion warps any consideration of the dilemma. He began graduate school at Madison in 1947, the same year Wisconsin voters sent Joseph McCarthy to the Senate. McCarthyism, though, largely passed over Madison; the university’s greater challenge was resisting liberal orthodoxy. Williams remembered later in his life that the campus was alive with a postwar class of “alert veterans” outspoken on issues like the Korean War, an engagement “largely forgotten in all the talk about the silent generation of the 1950s and the activism of the 1960s.” Also vital to campus life was “thoughtful dialogue with first-rate conservatives”–not today’s mean-spirited ids to liberal superegos but scholars who honestly grappled with American history. But Williams also got in close. For all his talk about grand historical narratives, he rendered his subjects with an intimacy beyond the reach of most historians, of whatever political persuasion. Gen. Douglas MacArthur “had an instinct for the viscera,” and his lunge for power stemmed as much from the dynamics of the military-industrial complex as from the frustrations of his Scottish aristocratic family’s three-generation bid to break into American politics. “One has to touch one’s cap,” Williams said, to any “man sitting on that combination of personal and social dynamite, and somehow keeping it under control.” Then there’s “Ol’ Lyndon” Johnson, “first and always” a “southern white who grew up wandering hither and yon across that no man’s land that divides the lowers from the maybe middles,” his Confederate “consciousness of being first among the damned” making him aware of the New Deal’s betrayal of African-Americans in ways Northern patricians like John F. Kennedy never could understand. One has the feeling Williams knew these people, or men very much like them, during his service in the Pacific and his time in Corpus Christi. Well before the publication of The Tragedy of American Diplomacy–Williams’s best-known book, it has been reissued this year on its fiftieth anniversary–tragedy had become a favored genre of scholars operating within the “vital center” of American intellectual life. “History is not a redeemer, promising to solve all human problems in time,” Arthur Schlesinger cautioned in 1949 in a Partisan Review essay nominally about the Civil War but really a brief for containment; it is rather a “tragedy in which we are all involved, whose keynote is anxiety and frustration.” Other “tough-minded” liberal intellectuals, such as Richard Hofstadter and Reinhold Niebuhr, invoked the force of instinct and passion in mass society as something of a deus ex machina to stress history’s tragic dimensions. The notion that evil did not “proceed from a cruel system”–that is, a system that could be engineered to produce ever more virtue–but from man’s “dark and tangled aspects,” as Schlesinger interpreted Niebuhr, helped transform liberalism from a politics of hope to one of fear. The policy implications were clear: the New Deal was the outer limit of reform, beyond which lay the nether lands of totalitarianism, and the Soviets needed to be confronted with the same resolve with which the Union defeated the Confederacy and Franklin Delano Roosevelt beat the Nazis. The Puritan elected himself America’s first elite. He originally intended to establish a righteous Eden. His handmaiden was to have been Calvin’s Virgin of unexploited wealth. But the Devil, cleverly camouflaged as the noble savage, already claimed the Virgin. Thus the Puritan had first to contain and defeat the red man…. But the pietistic intensity of his awareness of the Devil withered the Puritan’s sense of purpose. Morality ceased to be the means of communicating with God and the guide to the good life…. Only the Devil, warned the Puritan, spoke of the general welfare. Thus the Puritan gave way to the Planter, who comforted and wooed the Virgin…. Not until the Puritan pointed to the evil of the slave did the Planter and the Virgin take up the language of noblesse oblige. It was then too late. The hell of a fellow who occasionally feeds the neighborhood does not become m’Lord through rhetoric…. Three years later, Williams published Tragedy, taking Frederick Jackson Turner’s “frontier thesis”–which held that the westward advance of the United States determined the unique character of American society–and standing it on its head. Since the end of the nineteenth century, Turner’s ideas, Williams wrote in an earlier essay, “rolled through the universities and into popular literature as a tidal wave.” But most historians had misconstrued their importance, debating whether or not the frontier had closed when Turner said it did, in the 1890s, or if a continent of “free land” actually led to political or social democracy. The very term “frontier,” he argued, emphasized the “static” over the “dynamic,” distracting scholars from viewing the thesis as a “classic illustration of the transformation of an idea into an ideology,” the influence of which extended into the twentieth century. The real task, Williams said, was to understand how Turner served as a guide to policy-makers, including presidents Theodore Roosevelt and Woodrow Wilson, who saw the American border not as a line to stop at but as one to cross. Tragedy traced the nascence of America’s modern, nonterritorial empire to the industrial crisis of the 1890s, which brought violence and strife and threatened much worse. There emerged in reaction a “convergence of economic practice with intellectual analysis and emotional involvement” that created a “very powerful and dangerous propensity to define the essentials of American welfare in terms of activities outside the United States.” With profits falling, cities swelling, workers marching and agrarians protesting, the United States, far from being “thrown back upon itself,” as Turner described the result of reaching the Pacific, cast further afield. Militarists might have been dreaming of national regeneration, farmers and industrialists of international markets, labor leaders of social peace and a piece of the pie, intellectuals of an outlet for individualism in a world of corporate concentration, and missionaries of deliverance, but all came to share a vision in which domestic progress and prosperity were dependent on unfettered expansion. The result was the Spanish-American War, when the United States got Cuba and Puerto Rico, along with what Williams thought the real prize: the Philippines, a foothold in the Pacific needed to pre-empt Europe’s and Japan’s drive to divvy up China. The acquisition of overseas territory–as opposed to the fruits of mainland Manifest Destiny–provoked a great national debate between imperialists and anti-imperialists. This debate was ultimately reconciled by a third camp, which advocated an “Open Door” of market expansion; this would allow the United States to use its ascendant economic strength to best competitors while remaining free from the burdens of direct colonialism. Williams thought this a theology of evasion. It was easy to lampoon what he described as the “high noon” fantasies of Henry Luce’s American Century. Yet hand-wringers like Niebuhr–whom Williams called the “most sought-after soul sitter for American liberalism”–played their part in justifying expansion. Williams had no illusions about the Soviet Union; he criticized its repression of intellectuals. Russians, he said, paid a “terrible price in terror and hardship.” But he too could appreciate what he called history’s “harsh irony”: by bringing a preponderance of power to bear against the USSR, which emerged from World War II with an exhausted military, wasted farms and factories, ruined cities and a “sad, weary, and lethargic population,” the United States eventually conjured up the enemy it feared; armed with the threat of containment, Stalin drove “the Soviet people to the brink of collapse” until he turned his country into a nuclear power. Williams identified in the debates about how to respond to a revived USSR the same merry-go-round logic that emerged after 1898. “Containment-liberation” was “two sides of the same coin”: idealism gets us in; realism keeps us there while promising to get us out. Bacevich values Williams as an interpreter of America’s Weltanschauung yet believes his contributions to global history “do not stand the test of time,” since he underestimated the ability of the United States to regroup after Vietnam and overestimated the importance of Third World revolutions. It is true that Williams was at his weakest when, forgetting his criticisms of Hofstadter, he attributed psychological mass support to imperialism. For the most part, he thought change would come not from within the system–“where is Du Bois?” C.L.R. James asked after finishing Contours–but from expansion hitting a wall, which Williams kept thinking was imminent. The “General Theory of Relativity is likely to antiquate the frontier thesis,” he wrote in 1955; Turner had “met his match in Einstein and Oppenheimer.” In the 1960s, Vietnam, along with the revolt of the Third World, had “set the outer limits of the American Empire.” And in the 1970s, the arms race and energy crisis brought the empire to bay. Yet each time Williams was proven wrong, his larger argument was confirmed. Third World revolutions didn’t succeed on their own terms, but they did propel US history: Eisenhower begot Kennedy, who turned to counterinsurgency to bypass the nuclear impasse; Jimmy Carter begot Ronald Reagan, who responded to the melancholy 1970s by remoralizing and remilitarizing diplomacy, opening the Third World to hasten the shift from industrial to financial capitalism; Bill Clinton abandoned the New Deal’s noblesse oblige to go global, equating America’s interests with the world’s, at which point George W. Bush enters stage right. If we start with Niebuhr, who eventually found the irony of Vietnam too much to bear, we have to somersault over this history to explain the past seven years. With Williams, the present flows from the past. Williams did not believe, as did many progressives of his day, that liberalism was a way station on the road to social democracy; he thought that whatever transformative force the philosophy once held had mutated either into a corrosive, anti-intellectual individualism or a justification for monopoly capitalism, in both cases kept alive only by a constant “fleeing forward.” Thus he was free to find traces of a latent socialism in the unlikeliest places, including in the South’s culture of defeat and resentment (a “prism-prison” that distorts some truths, leading to racial supremacy and “hawkish bellicosity,” but that clarifies a healthy distrust of the state) and in the writings of aristocrats, conservative politicians and businessmen who, even if they still defended hierarchy, candidly confronted the predicaments of capital. His most famous restoration project was Herbert Hoover; it seemed that every time Schlesinger wrote a book about FDR, Williams would counter by finding some new, underappreciated quality in the man New Dealers loved to ridicule. Williams would likely empathize with Barack Obama, the way he did with LBJ, as someone charged with cleaning up the mess others made, “striving to do all that was possible within the orthodoxy he had been taught.” But he would be suspicious of the president’s endorsement of Niebuhr. In 2007 Obama impressed New York Times columnist David Brooks by saying he shared the theologian’s view of history as tragic and ironic and the belief that there’s “serious evil in the world”–though Williams might recognize it as a shrewd bid to win over our current crop of soul sitters. He might also understand Obama’s embrace of the rhetoric of exceptionalism as an attempt to bridle that vanity and shift attention–as much as interests, ideology and the twenty-four-hour news cycle permit–to building a New America, one that finally kicks the habit of externalizing evil and jumping the perimeter. He would, however, think dangerous the conceit that domestic and foreign policy could be hoodwinked into going their separate ways. Kennedy tried that, Williams once wrote, but saber-rattling to appease militarists made him a “hostage of the right.” We need to “reconceptualize this war as existing in the mental space of the Pashtun nation,” says counterinsurgent theorist John Nagl of the conflict along the Afghanistan-Pakistan border. Williams would know that the war already exists in the American mental space: in the denial of Washington’s role in nurturing Islamic extremism; in the reliance on bomber drones to wage low-cost war; and in Obama’s refusal to completely forsake rendition and other Bush-era extrajudicial innovations. Here, Williams might say, is “a fact that contains the whole, and a whole that contains every fact” of a legal system incapable of absorbing the excesses of expansion and war, as well as the deference that imperial power commands. Ultimately, he would worry that Obama, as he believed FDR did before him, is responding to the current crisis by shoring up the settlement that ended the previous one (in this case, the contraction of the 1970s)–by recycling the policy-makers (like Iran/Contra luminary Robert Gates and derivative-enabler Lawrence Summers) responsible for the overleveraging of American power. But “empire as a way of life” is forgiving of mistakes, as Williams might say, provided they are made on behalf of that life. Until Judgment Day comes, we have to settle for Clio’s answer to a more modest inquiry: why William Appleman Williams? Because as history has shown since the publication of The Tragedy of American Diplomacy, things can always get worse.